Ah, Linux Mint. This operating system has its detractors, but for the most part, it is beloved by both Linux beginners and experts alike. True, most of the praise is due to its excellent Ubuntu base, but the Mint team understands what many other distribution maintainers don't -- the overall experience matters. When you install Mint, you are in for a polished treat -- it is clear that the developers truly care about the end users. 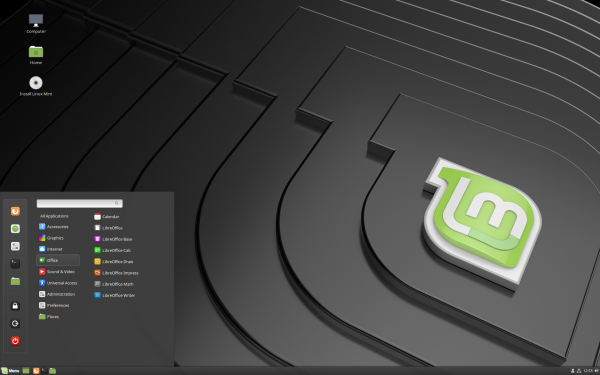 Today, Linux Mint 19 "Tara" Beta finally sees release. Three desktop environments are available -- Cinnamon (3.8), MATE (1.20), and Xfce (4.12). All of these DEs are excellent, but the shining star is Cinnamon. Tara is significant as it is based on the newest Ubuntu 18.04 and will receive updates until the year 2023. The included Linux kernel is version 4.15 and not 4.17 -- understandable, as it was only just released. The team shares additional significant updates below. You can download all three versions of Linux Mint 19 Tara Beta using the following torrent links. Please note: you should not use pre-release software on production machines, as it could result in a non-functioning computer, data loss, or more. With that said, Linux Mint beta releases are usually quite stable. To read more about what is new in version 19 of the operating system, please click on the links to the right.